Summer 1914. Homeward bound from Malta. 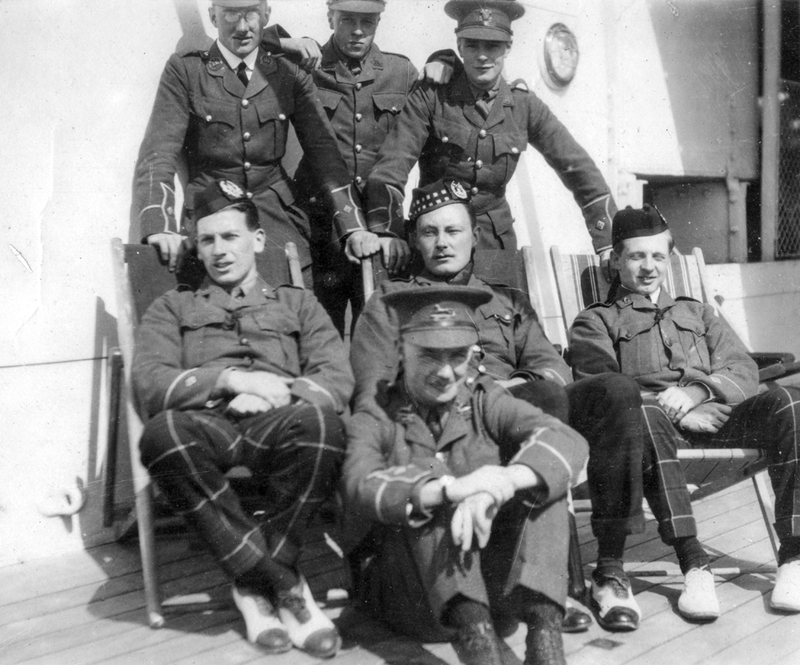 Lt. Somerville, middle back. 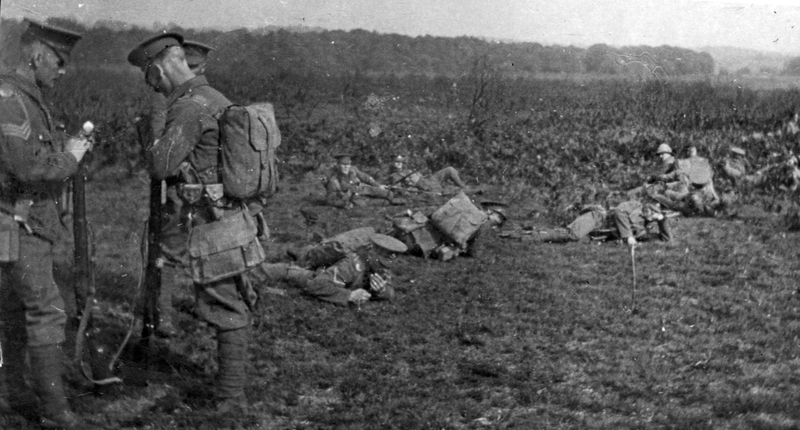 At 11 P.M. on August 4th 1914 Britain declared war after Germany attacked France through neutral Belgium. Now that all the great powers were involved, the lamps were going out, as Sir Edward Grey memorably said, all over Europe. 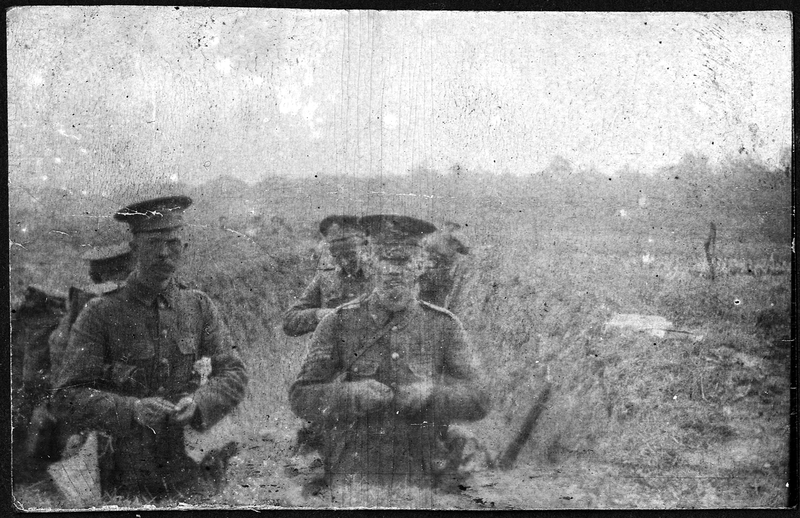 The following photographs were taken by my grandfather Lieutenant ‘Pat’ Somerville from County Wicklow, Ireland. 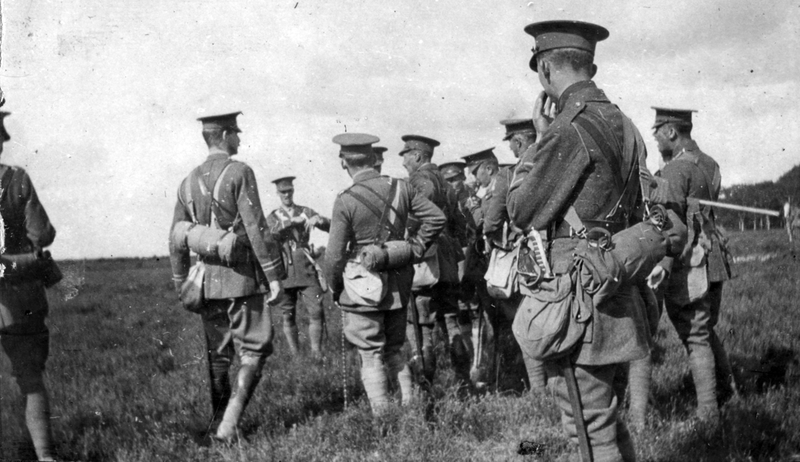 Lt. Somerville had been in Albania and Malta when his regiment, The Royal Warwickshire, was recalled to England as a result of the crisis caused by the assassination of Franz Ferdinand in Sarajevo. 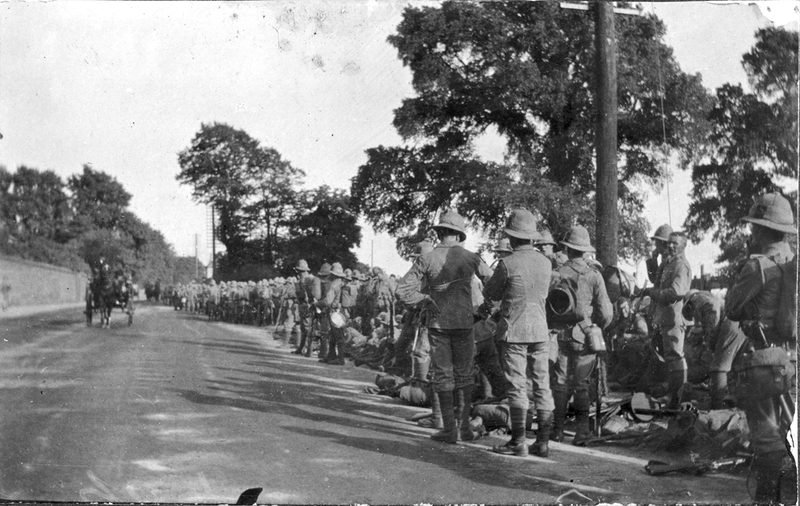 At the time Britain did not have a large army, in fact the Indian Army was larger than the British Army. My Nicholas grandfather was an officer in the former in 1914, in the 15th Ludhiana Sikhs, whilst my maternal grandfather Somerville was in the Royal Warwickshire Regt. Unknown to each other they were both destined to serve in the same area around Ypres in 1914. 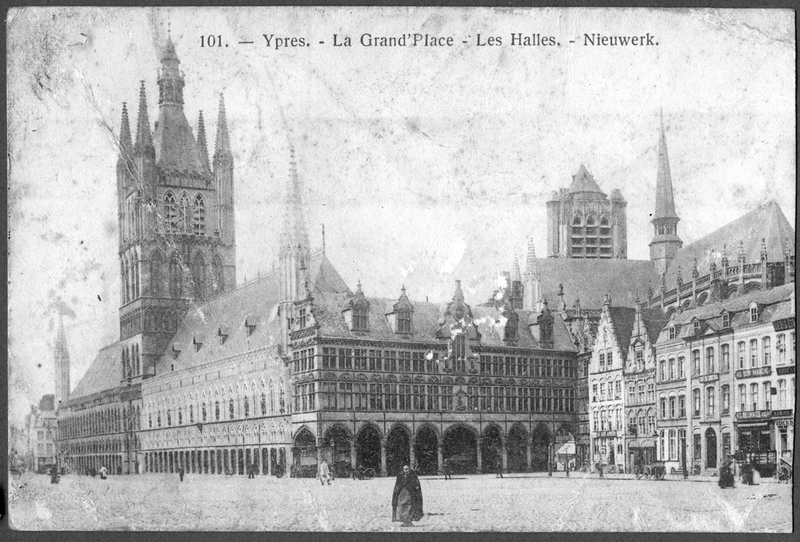 Pre-1914 post card of La Grande Place, Ypres, Belgium. By 1918 this was a pile of rubble. 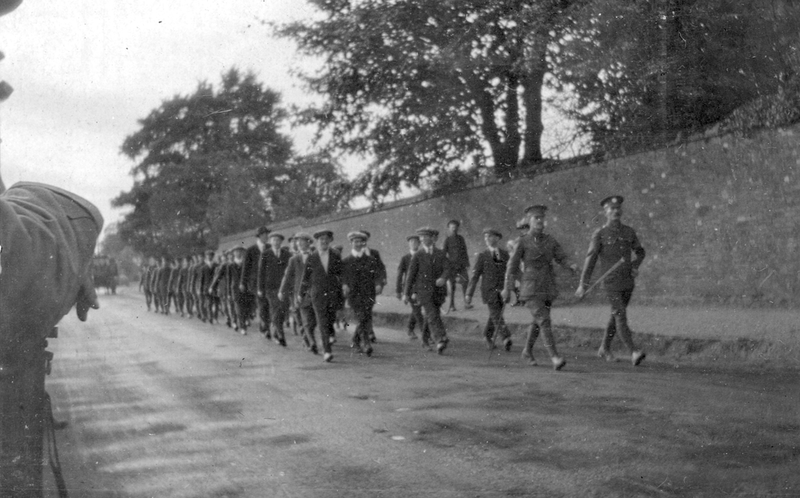 Whereas Somerville’s time in Ypres was brief, Nicholas was to spend nearly two years in Flanders in the trenches where he was gassed, before being posted to Iraq where he finished the war in 1918. Before the war he had fought in Afghanistan, plus ça change, plus c’est la même chose…. 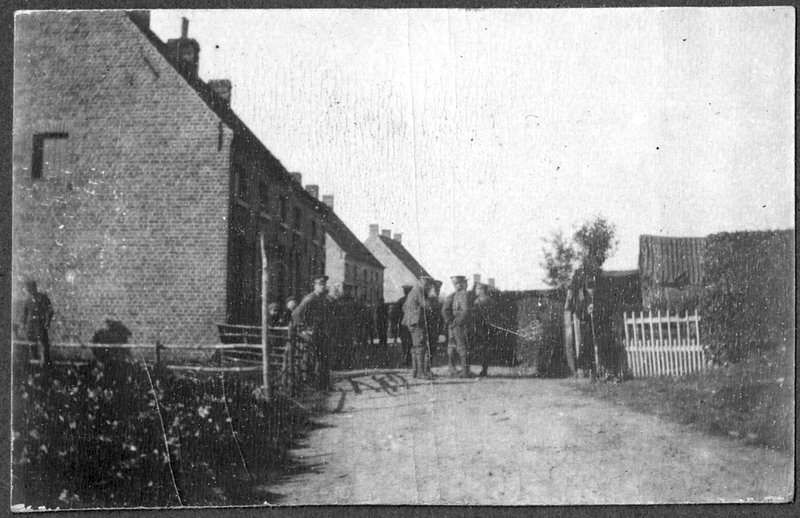 The above is Pat Somerville’s last picture before he was captured by the Germans at Mons at the end of August. He spent the next two years in various POW camps before escaping in 1917. More pictures of life inside the camp to come.